To understand this condition, it’s essential to be aware of the common myths surrounding it. Myth #1: Spinal stenosis requires surgical treatment. 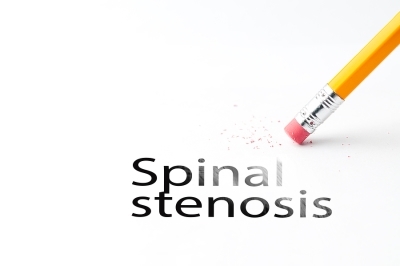 While there are several surgical options available for the treatment of spinal stenosis, most doctors advise conservative options first. Many patients can find relief from the symptoms of this condition through treatments such as physical therapy, medication, strengthening exercises, discography, and steroid injections. Surgery for spinal stenosis should be thought of as a treatment of last resort only after conservative methods fail to offer a patient relief. Myth #2: Prescription anti-inflammatories are the only effective medication for spinal stenosis. While stronger medications are sometimes necessary, many individuals experience symptom relief by taking over-the-counter anti-inflammatories. Additionally, some patients experience a lessening of their symptoms by taking other types of medications, such as muscle relaxants, anti-seizure drugs, and antidepressants. Myth # 3: Steroid injections provide a long-term solution for spinal stenosis. While steroids can offer relief for patients who are suffering from severe pain symptoms, their effect is only temporary, and they are not successful for everyone. Epidural steroid injections work by reducing inflammation and relieving pressure in irritated areas of the spine, but repeated injections can eventually weaken surrounding connective tissues and bones. Myth #4: Physical therapy is only recommended for spinal stenosis patients who aren’t in pain. Physical fitness and flexibility is an essential aspect of spinal stenosis treatment. Even if you are experiencing pain symptoms, your doctor is likely to advise physical therapy as part of your treatment. When patients conserve their movement in an effort to reduce their pain, their lack of mobility can lead to a worsening of their overall symptoms.